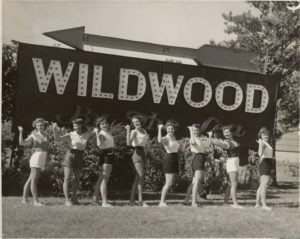 WILDWOOD-Over 70 years ago, the Wildwood By The Sea sign greeted visitors heading into town and most famously displayed a group of friends posing for a photo op. 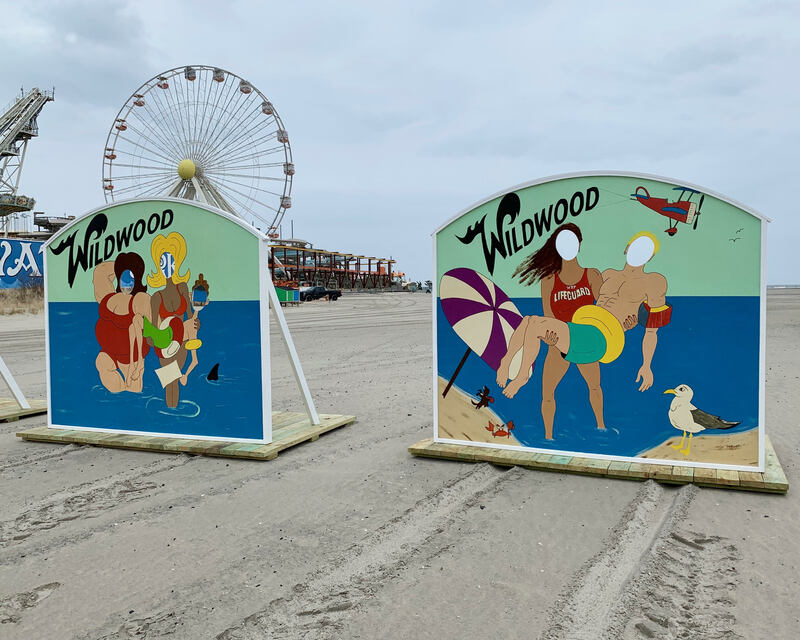 Today, the City of Wildwood has announced the sign has been recreated by the Department of Beach Services, to be on display this summer. 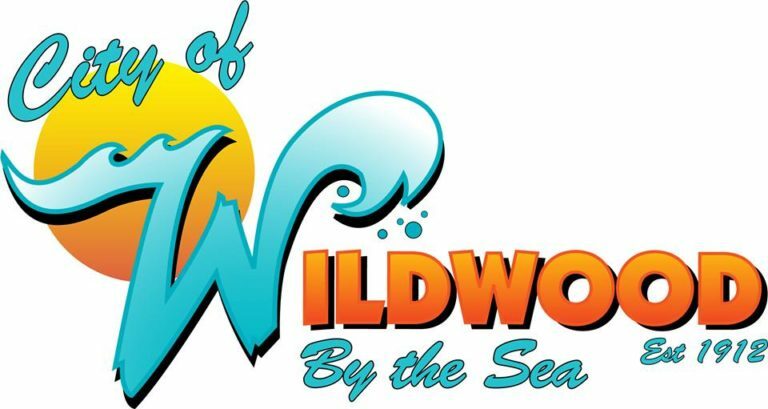 The display will be one of five new attractions provided by the City to offer fun photographic opportunities for visitors to enjoy and create positive publicity for the town. 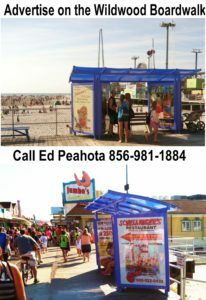 The replica is much smaller than the original at just 4 feet tall and 8 feet wide, but the nostalgia is not lost. 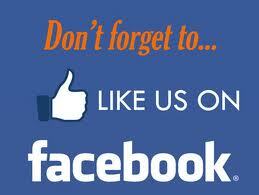 Aside from the difference in size, all other specifications are estimated to be correct. 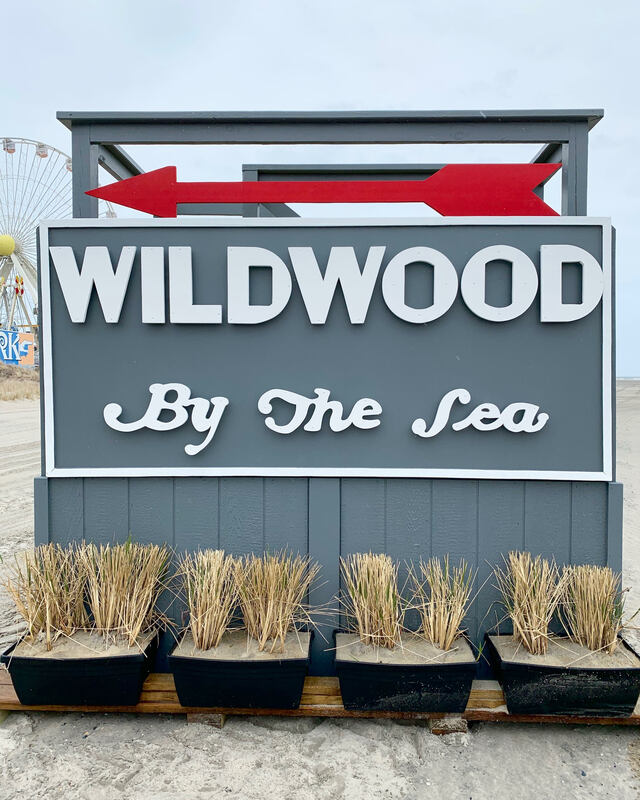 Due to the lack of recorded information, the sign was created solely by research of images and one home video that displayed the arrow to be red in color. For visitors to be able to recreate the iconic image of the girls standing on sign, the City has added stairs and a platform in the back of the display so people can pose above the sign as they did in the historic photo.